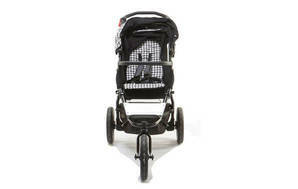 Snapshot: The Mountain Buggy Urban Jungle 3.0 Luxury Model is a single stroller that’s suitable for newborn babies. But how safe and easy to use is it? Passed all major and minor safety tests. OK to fold and carry. Suitable for a newborn baby. Has a variable backrest position. 21 Oct 2018, Julia H.
Great buggy. Solid unlike other buggy’s which I tried which tipped easily. Looks good. Easy to use with carry cot and car seat. Takes up quite a bit of boot space! 23 Nov 2015, Marcelle G.
I found contray to you r cons of the Urban Jungle, the new system is so much easier to fold, and Im left handed.